A long journey towards growth driven by passion for stones and their history, which has led the company to be internationally recognized as one of the best firms in the industry. During recent years, there have been many considerable orders actively involving the residential sector, particularly residences of prominent names such as the King of Jordan, the Russian President, the British Royal Family and celebrities from the entertainment world, including Rod Stewart, Sting, former members of the Spice Girls and footballer David Beckham. The company has also carried out projects of international importance in the "Buildings" sector including the Federal Reserve Bank in Los Angeles, Leonardo Da Vinci airport in Rome, Cee offices in Brussels and the Japan Center in Frankfurt. 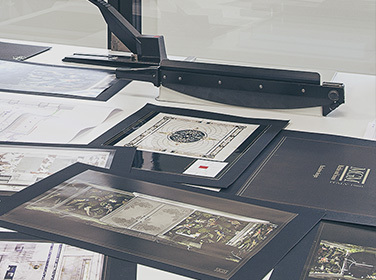 The work carried out by MGM begins from a careful selection of materials and continues until the complete realization of the work,by constantly monitoring every stage of the project. 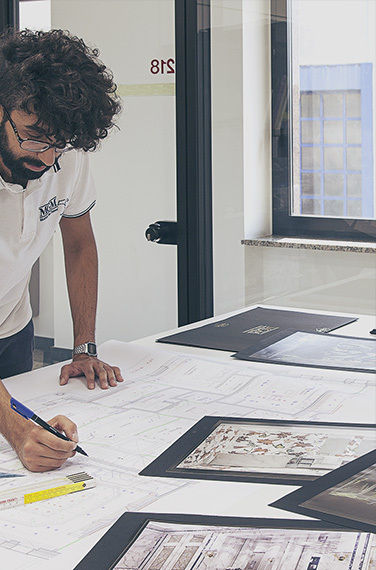 After a careful analysis of the space and of the actual state of the construction site, the design office assists the client by planning a design that is tailored to the customer’s style and tastes. 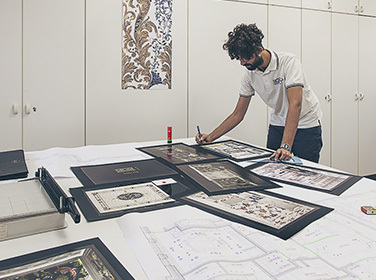 This “tailoring” work continues with the selection of materials, finishes, the design of the environments and customized furniture, thus making each proposal unique and exclusive. The synthesis of this work is to present the client with realistic photos and images that sensibly exemplify the end result. Once the project carried out by the style department has been approved, the technical office is responsible for making this project even more concrete by undertaking an on-site examination and by preparing technical drawings regarding the cut and the installation of the material. 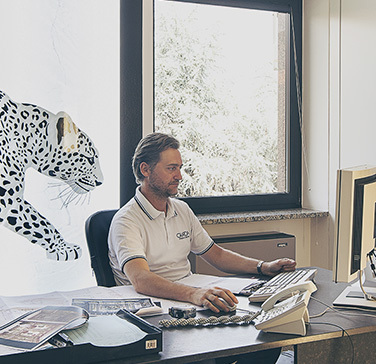 The company follows each phase step by step, from the cutting of the raw materials to its finishes, often handmade by expert craftsmen, similarly from the installation of the stones to the after-sales service. REQUIREMENTS IS PERFECTLY COMBINED WITH THE EXPERTISE OF A PROFESSIONAL TEAM.